Rising Soul is a documentary film that explores the question, “What is the impact of Afro-Japanese offspring and their origins as children of Japanese war brides?” At the end of World War II, many Japanese women married American men of African descent and immigrated to the United States. While several stories examine the lives of Japanese war brides who married white Americans, none delve deeply into the history of Japanese war brides who married African Americans, and the journeys of their mixed-race children. Rising Soul explores the transnational juncture of Japanese and African American cultures embodied in the African-descent offspring of Japanese war brides, women that not only faced the challenges of life in the U.S., but who also confronted the adversities of interracial marriages to African Americans – hardships that emanated not only from white society, but also from Japanese including other Japanese war brides married to whites, from African Americans, and from Asian Americans. The documentary seeks to de-mystify Asian and Black identity from a perspective that does not see it as an anomaly or a subset of Hapa or Haafu identity but as something very real, primary, and organic to mixed race. Through interviews, glimpses into cultural phenomena, and historical artifacts, the film illuminates the complexity of that identity, and the betwixt and between and fusion that multiple heritages of color can foster. A panel will feature Rising Soul producer Monique Yamaguchi, screenwriter Velina Hasu Houston; and subjects from the film including Linda Gant, Sumire Gant, Kiyoshi Houston, Curtiss Takada Rooks, and Rika Houston. Excerpts from the film also will be screened. For more information and to RSVP, click here. View the flyer here. Largely as a result of multiracial activism, the US Census for 2000 offers people the unprecedented opportunity to officially identify themselves with more than one racial group. Among Asian-heritage people in this country and elsewhere, racial and ethnic mixing has a long but unacknowledged history. According to the last US Census, nearly one-third of all interracial marriages included an Asian-descent spouse, and intermarriage rates are accelerating. 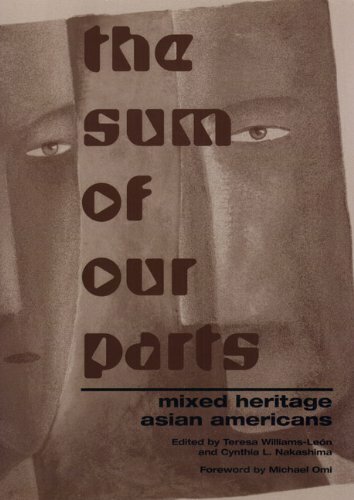 This unique collection of essays focuses on the construction of identity among people of Asian descent who claim multiple heritages. 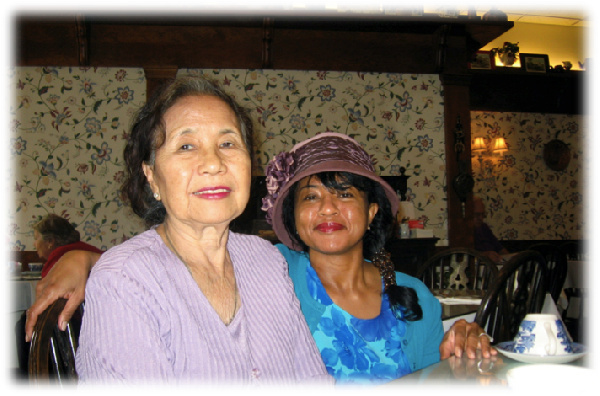 In the U.S., discussions of race generally center on matters of black and white; mixed heritage Asian Americans usually figure in conversations about race as an undifferentiated ethnic group or as exotic Eurasians. The contributors to this book disrupt the standard discussions by considering people of mixed Asian ethnicities. They also pay particular attention to non-white multiracial identities to decenter whiteness and reflect the experience of individuals or communities who are considered a minority within a minority. With an entire section devoted to the Asian diaspora, The Sum of Our Parts suggests that questions of multiracial and multiethnic identity are surfacing around the globe. This timely and provocative collection articulates them for social scientists and students.